It shall be the duty of every citizen to make positive and useful contributions to the advancement, progress and well-being of the community where he resides. In order for Nigeria to accomplish its potential as a Nation and for the citizenry to enjoy the fruits and dividends of good governance, it takes the effort of both public officials and the citizenry. This is nothing we have not heard before but it is one thing we hardly take action on. Not because we lack a desire to participate but most times because we don't know how. The common forms of engagement known and used by Nigerians involves negotiation and civil protests. Civil disobedience is also a popular method of engaging with public authority in Nigeria. In this context, it usually involves varying degrees of violence and assault commonly inflicted on the protesters or on law enforcement agents, examples are mob actions, riots and in the extreme, open rebellion. This is not to imply that all forms of Civil disobedience are violent as history abounds with instances of non-violent civil disobedience actions. Generally, the concept refers to instances where citizens openly refuse to obey certain laws or constituted government authorities. Another form of engagement is Civic Engagement, this is however not very popular, as it sometimes takes more intellectual effort to accomplish. Civic engagement means working to make a difference in the civic life of our communities and developing the combination of knowledge, skills, values and motivation to make that difference. It means promoting the quality of life in a community, through both political and non-political processes. Civic Engagement involves moral and civically incline citizens to recognize himself or herself as a member of a larger social fabric and therefore considers social problems to be at least partly his or her own; such an individual is willing to see the moral and civic dimensions of issues, to make and justify informed moral and civic judgments, and to take action when appropriate. While both forms of public engagement have their pros and cons, Nigerians having tried civil disobedience for decades without much success must now embrace civic engagement as a veritable tool for good governance and social development. It is important to note that there are over 160 ways of engaging government and each method has its own attributes. 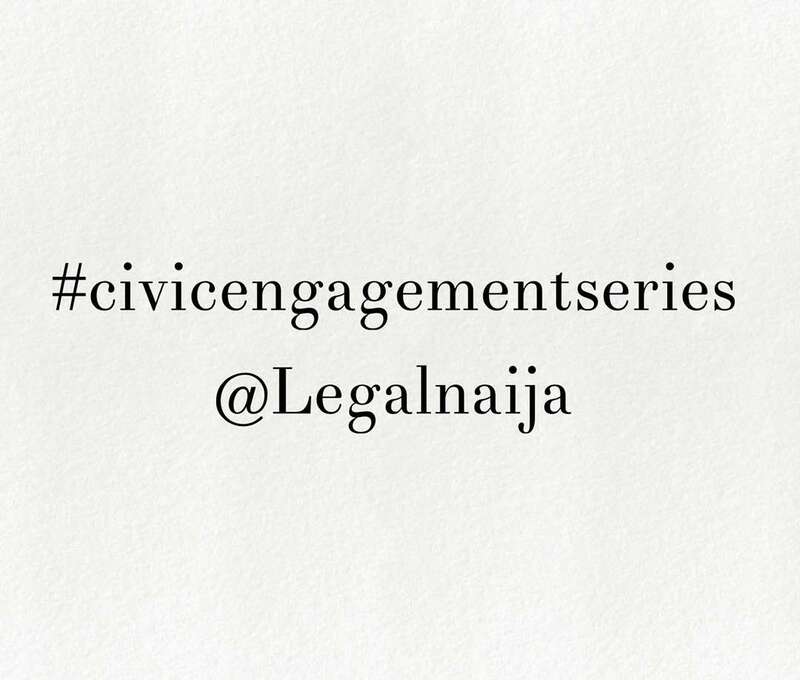 Via the #civicengagementseries we hope to fill the lacuna in the body of knowledge available to Nigerians on various forms of public engagement. We shall be sharing non-violent methods of engaging all statra of government for the benefits of our local communities, states and largely the nation. 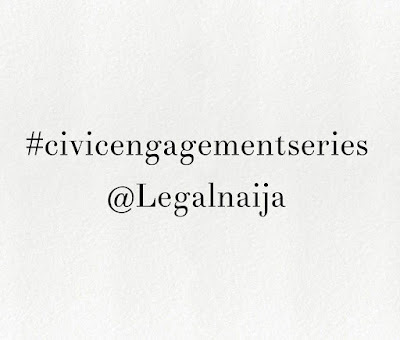 Kindly read and share the post on #civicengagementseries via our social media pages and most importantly, begin to implement the method most suitable to you.